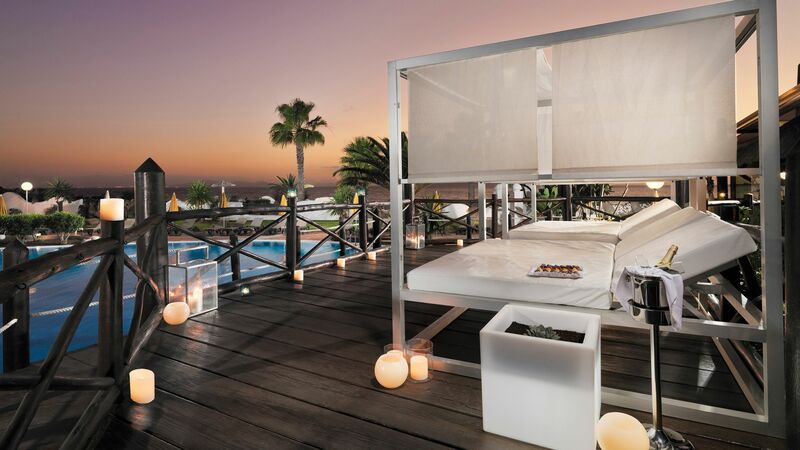 H10 Timanfaya Palace is an adults only hotel located along the golden sands of Lanzarote’s coast. It’s home to a wonderful selection of activities and entertainment, with pilates, yoga, mini golf, tennis, darts and lots more on offer. Spend your days relaxing on the beach or by one of the two outdoor swimming pools or make the most of the water sports on offer in front of the hotel. There are five restaurants and bars to choose from, serving everything from Mediterranean to Arabic cuisine. Choose light bites by the pool, as well as delicious drinks, and fine wines as you unwind in the exotic hotel gardens. 24-hour all inclusive. Buffet breakfast, lunch, and dinner. Discount at the à la carte restaurant. Snacks. Cold sandwiches, yogurt, and fruit from 22:30–06:00. Soft drinks, local beer, house wine (branded drinks and fine wine have an additional charge) from 06:00–00:00. Water, soft drinks, and juices from 00:00–06:00. Table tennis. Gym. Animation programme. Privilege guests will have the option to have their breakfast and dinner served in the Kasbah Restaurant (reservations are required for dinner). 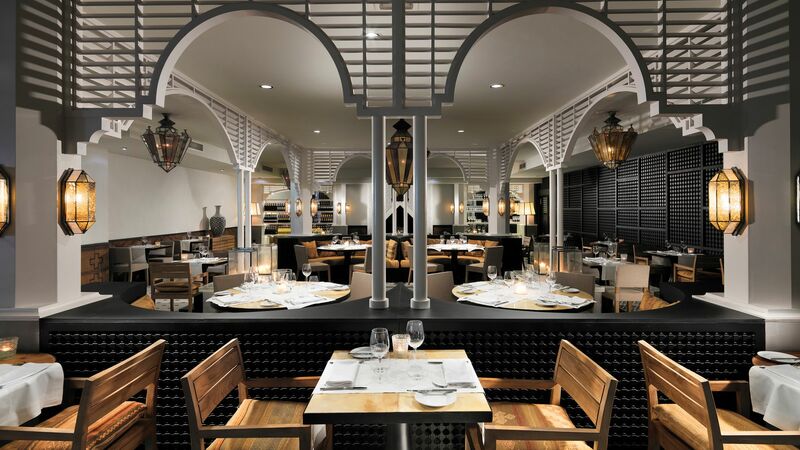 This chic and modern restaurant serves a delicious fusion of Mediterranean and Arabic dishes. 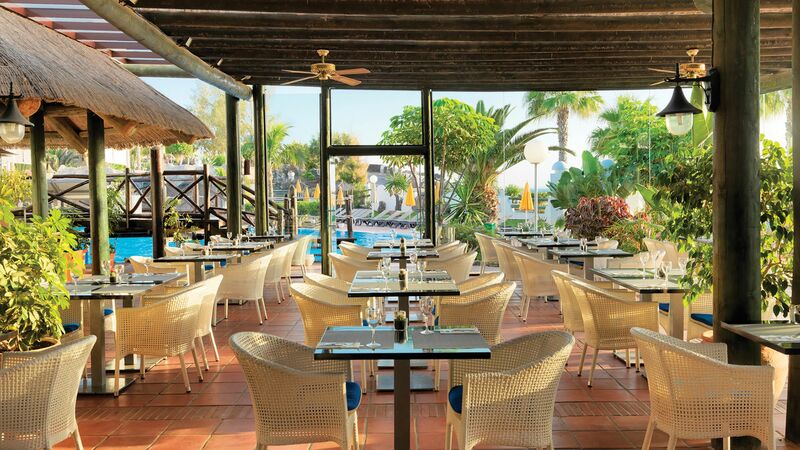 Relax by the pool and enjoy delicious refreshments and light dishes, including tapas and sandwiches. 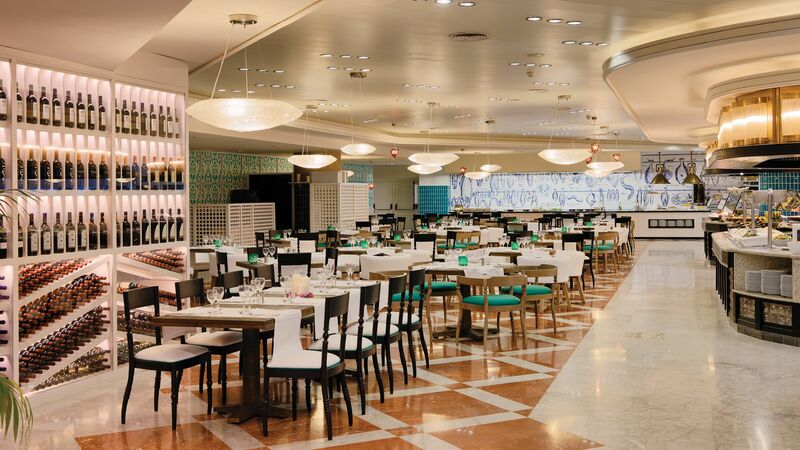 This bright and spacious buffet restaurant offers a choice of excellent international and local dishes as well as show cooking in the evenings. 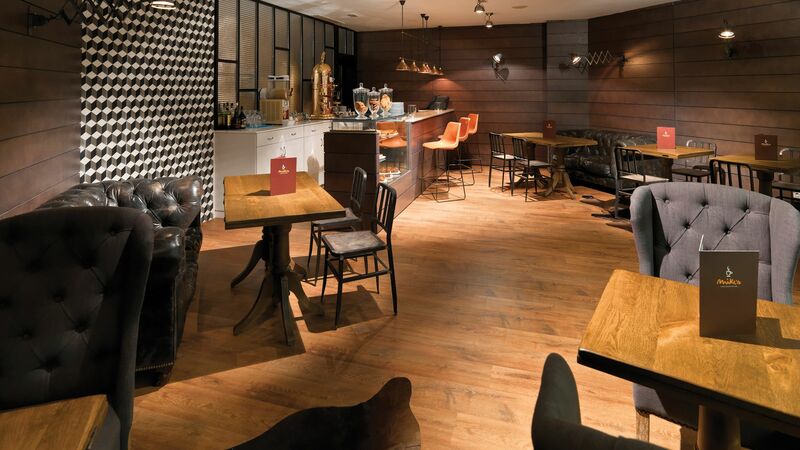 This cosy café serves delicious treats and snacks, including tea, coffee, smoothies, milkshakes and homemade cakes. Listen to live music in the H10 Timanfaya Palace’s lobby bar and enjoy an extensive menu of drinks and bar snacks. There are two outdoor swimming pools to choose from, each surrounded by loungers and sun terraces. Guests can also enjoy a heated indoor pool. 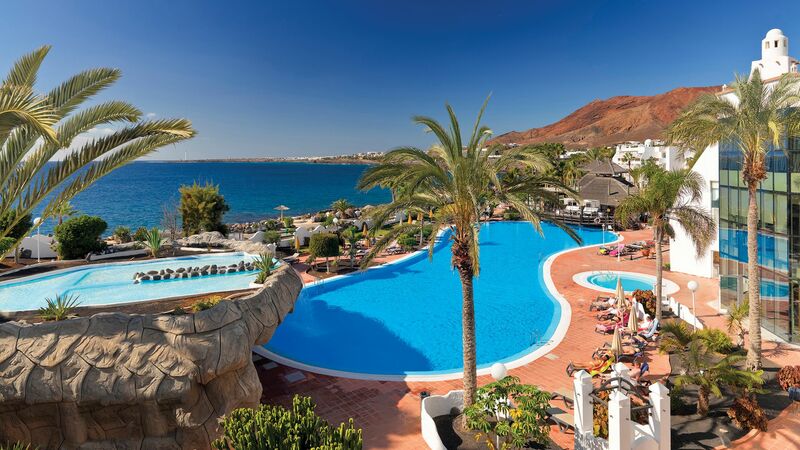 Flamingo Beach is 150 metres from the hotel and offers golden sands and plenty of opportunities to relax and unwind. Guests can choose as much or as little entertainment as they like with a full programme of events. Activities include cooking classes, live music and evening shows. 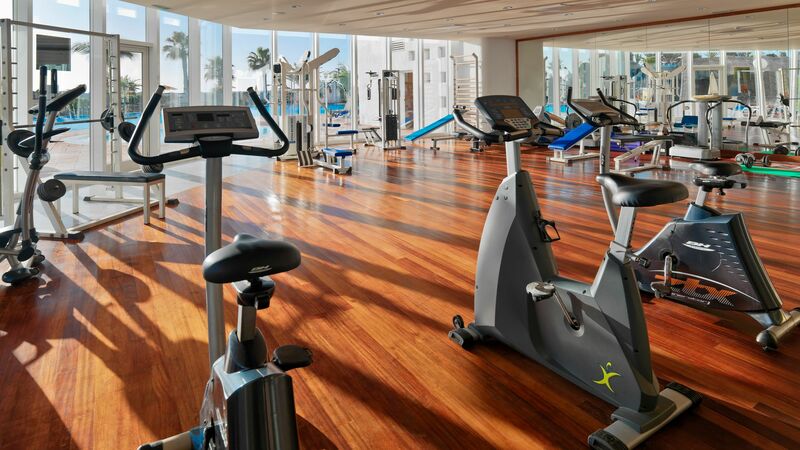 Enjoy the many sports available, including a diving centre, pilates, yoga, an aqua gym, mini golf, archery and lots more. H10 Timanfaya Palace is located on Lazarote’s south coast where you’ll find lively resorts and sunshine for most of the year. Found in the aptly named Playa Blanca, it’s close to some wonderful swathes of golden sands where you’re protected from the wind by the surrounding cliffs. Swimmers will find clear waters perfect for a cooling dip, as well as snorkelling and scuba diving excursions. If you’re looking for something more active try sailing, windsurfing or pedalo rides. Playa Blanca is perfect for luxury holidays on the island and offers an upmarket marina area where you can watch the yachts dock for the evening. 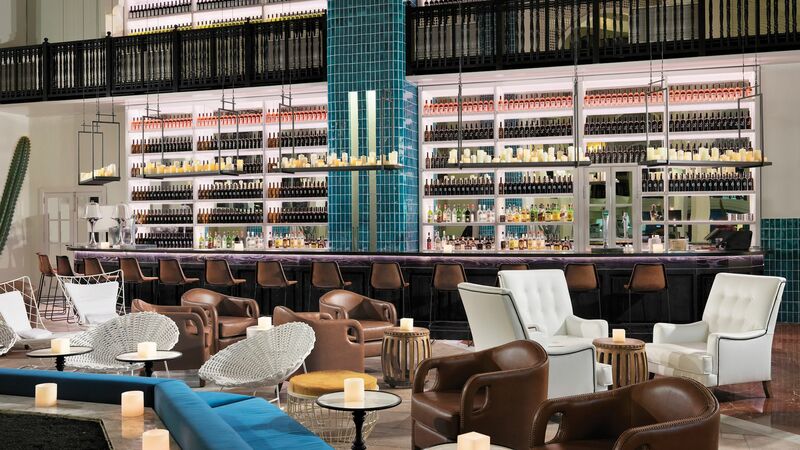 Enjoy the swish cocktail bars and fine dining restaurants, before listening to live music. H10 Timanfaya Palace is a 30 minute drive from Lanzarote Airport. Twin Rooms have either a double bed or twin beds, air conditioning, satellite TV, telephone, hairdryer, bathtub and a balcony or terrace. A minibar and safe are available at a charge. Twin for Sole Use rooms are approximately 28m² and have a double bed or twin beds, air conditioning, satellite TV, telephone, hairdryer, bathtub and a balcony or terrace. A minibar and safe are available at a charge. Twin Sea View rooms are approximately 28m² and have a double bed or twin beds, air conditioning, satellite TV, telephone, hairdryer, bathtub and a balcony or terrace. A minibar and safe are available at a charge. Superior Twin Sea View rooms are modern in design and offer Nespresso® coffee machine and an MP3 speaker. Superior Twin Privilege Rooms have a pool or sea view. Facilities include a personalised hotel check in and check out, late check out (subject to availability), pillow menu, complimentary safe, bathrobe & slippers, beach towels, tea & coffee facilities, daily newspaper, welcome gift, twice daily cleaning of room and exclusive access to the VIP Privilege Lounge. Junior Suites are approximately 45m² and have a pool or sea view. They feature a bedroom and lounge area as well as a Nespresso® coffee machine and daily turndown service. Junior Suites are approximately 45m² and have a pool or sea view. They feature a bedroom and lounge area as well as a Nespresso® coffee machine and daily turndown service. Additional facilities include a personalised hotel check in and check out, late check out (subject to availability), pillow menu, complimentary safe, bathrobe & slippers, beach towels, tea & coffee facilities, daily newspaper, welcome gift, twice daily cleaning of room and exclusive access to the VIP Privilege Lounge. Save up to 15% on the hotel price for holidays between 01 June - 31 October 2019 booked by 30 April 2019. Save up to 10% on the hotel price for holidays between 23 -31 May 2019. Honeymooners will receive a bottle of sparkling wine in their room upon arrival for holidays between 01 May - 31 October 2019. Sovereign guests will receive fruit and wine in their room upon arrival for holidays between 01 May - 31 October 2019. “ Just a little winter sunshine!! Just returned from a week's holiday in the Timanfaya. We visited the same time last year and were once again not disappointed. It is the most relaxing holiday ever. All staff great you with a smile and go out of their way to make you feel special. We will be returning in August for my partner's special birthday and what a great place to celebrate a special birthday, can't wait!! Our second visit to this hotel in Playa Blanca, Lanzarote. The hotel has a great location and the amenities and service are excellent. The 'entertainment team' work very hard to ensure everyone is made to feel welcome and part of the hotel's community. Top marks to Hector! We took advantage of the aqua fit every day at 12 midday, in the beautifully appointed indoor pool. Great fun and a different instructor every day.The shop inside the hotel is staffed by a lovely lady who is very friendly and helpful. All the reception team and waiting staff are welcoming and friendly. The evening entertainment is a bit hit and miss but that's a small niggle. Do up-grade to the Priviledge package if you can - well worth it. Many hours spent in the priviledge area/lounge, free drinks, tea, coffee, sweets, newspapers etc. Also gives you the opportunity to breakfast and dine in the A La Carte Restaurant - a welcome respite from the somewhat frenetic buffet dining upstairs. No quibbles about the food - so much choice.A very relaxing holiday again! This was our second stay at the Hotel and it was even better than the previous one! We had booked a Sea View Room again and like last time requested a room on a higher floor with a walk-in shower. This was exactly what we had on check-in. Thank you! The staff here at the hotel are some of the most genuine, helpful and friendly people we have come across. Nothing seems too much trouble. The completed Pool area tiling looks super and makes a great difference. We never struggled to find a sun-bed anytime of the day, there were lots available in the extensive grounds. Some people were brave and entered the non-heated swimming pools, but there is also a covered heated pool which is lovely. Food, one word- Amazing! So much variety. How anyone can complain is beyond me! Again our meal in the Kasbah Restaurant was outstanding as was the service. The Pool bar menu had changed and now there is even more delicious food on offer. Drinks, branded names, plus huge measures and plenty of cocktails. House wines available were also good. Evenings in the Disco Bar were entertaining as was the music in the Piano Bar. Another brilliant stay and we are looking to book again for next year! “ Beautiful hotel, shame about the food! Staying in this hotel and it really is lovely, great gardens and pool areas, all kept immaculately, great position and views , plenty of sun beds, friendly olive staff and a good location. Just a shame about the food, Luke warm, in appetising mass catered! Why not do less well instead of more so badly. Didn?? ?t even want to go to dinner most evenings more a necessity than enjoyable. Have had much better in so called 4 star resorts.